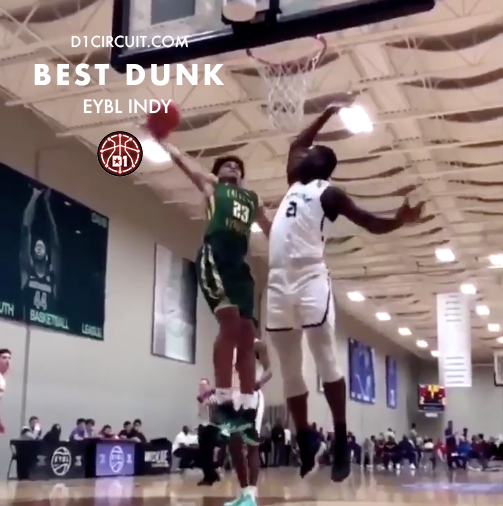 Las Vegas Prospects' junior Jalen Hill wins with ease after this violent, picture-perfect poster of Renaissance junior big man Kofi Cockburn. Shout out to Jalen for the the vicious dunk, and big ups to Kofi for not backing down at the rim. Q&A with Houston Hoops & South Garland shooting guard Chris Harris Jr. The Texas A&M commit turned heads with his late-game heroics against the PSA Cardinals at this year's Peach Jam, but the jaw-dropping performance isn't what defines the game of this high school senior.